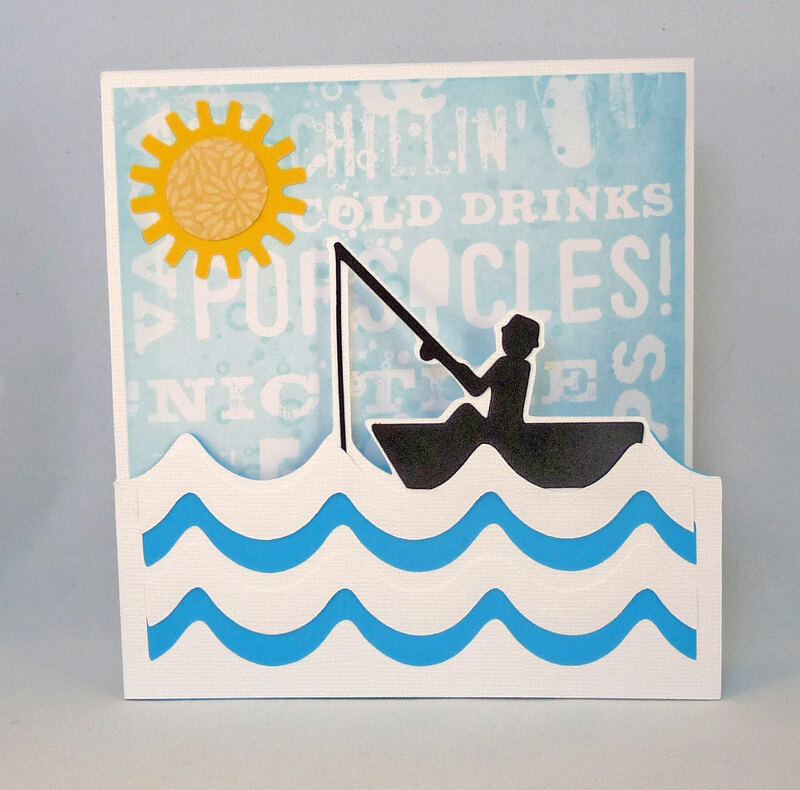 People who retire often take the opportunity to “go places,” so when I was looking for an image for my brother-in-law’s retirement card, I looked on the Going Places Cricut cartridge. 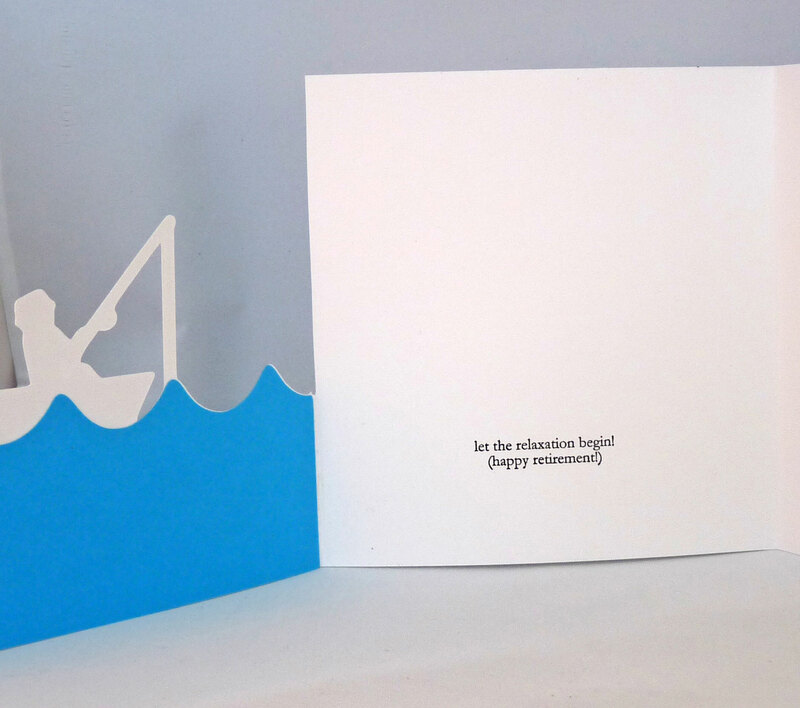 I used the water and fisherman from page 48 and my Gypsy to make this tri-fold card. The sun is from page 55 of the same cartridge so that the card has a uniform feel. 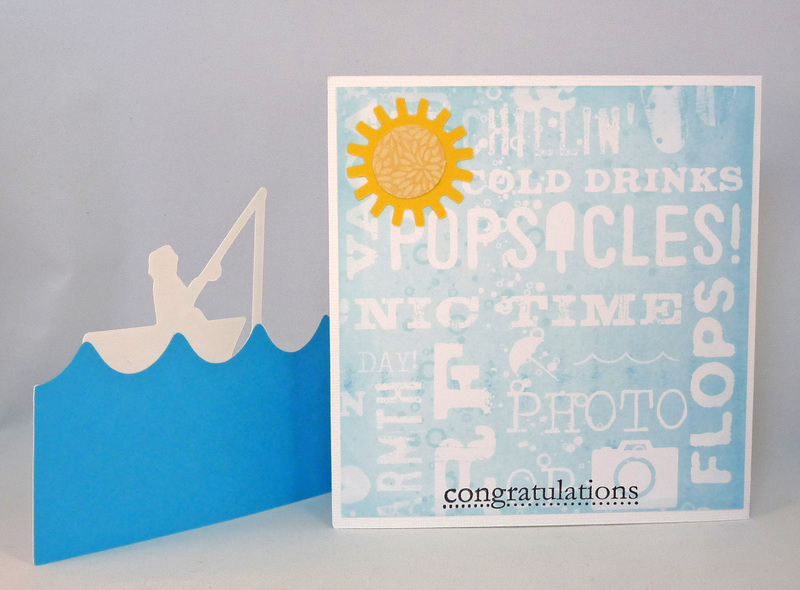 The sentiments are from an old wooden Stampin Up set, and the paper is from Deja View’s Soda Pop Summer paper pack. 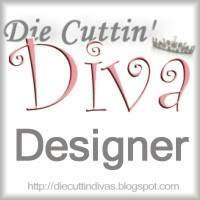 This entry was posted in Paper Crafting and tagged card, retirement. Bookmark the permalink.